The Upper Crust Pizzeria Restaurant Kuwait, last updated on 12 Febraury 2017 , is listed under Pizza category. It was added to Kuwait Directory Rinnoo.net on 18 Febraury 2015 . 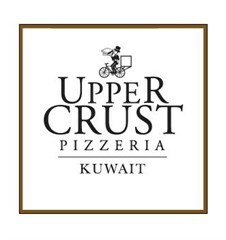 Pages of The Upper Crust Pizzeria Restaurant Kuwait on Rinnoo.net have achieved 42,708 views till now. Since 2001, this Pizzeria has been serving award-winning pizza to Boston-area residents craving something delicious and extraordinary. The concept is simple: use fresh ingredients in traditional and unexpected ways on top of a flavorful crust. The menu has grown from classic combos to more unique and daring pairings - all atop a mouth-watering style, thin crust. From the original storefront to any other location, customers can grab takeout, get delivery or choose to dine in. The award-winning architectural spaces include open kitchens, pizza tin-decorated ceilings, all adding up to deliver a truly unique experience. Acquire General Trading and Contracting holds the franchise rights to the MENA region for the Upper Crust Pizzeria brand.